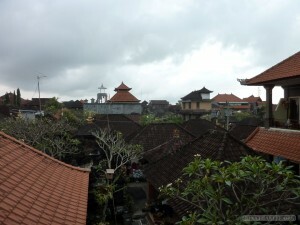 Here in Ubud, $10 per night got me an amazing view, hot water showers, and a banana pancake and fruit breakfast. 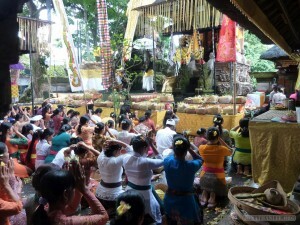 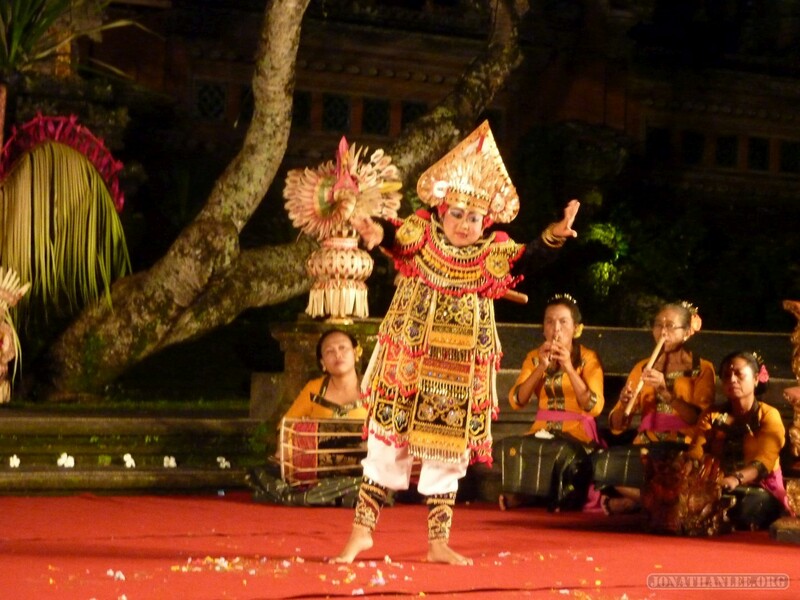 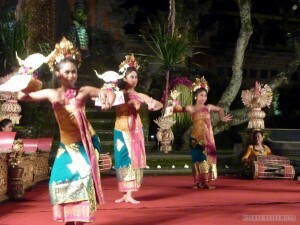 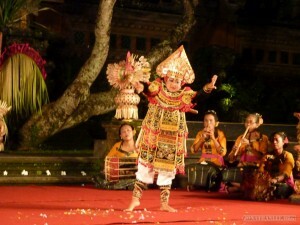 Ubud is famous for its cultural dances, which are fairly cheap ($8 for an hour performance) but also fairly repetitive. 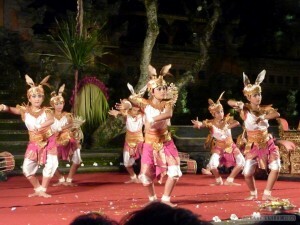 I found that Indonesian dance is characterized by swinging the head back and forth, hand movements, and intricate costumes. Kelinci – rabbit dance. 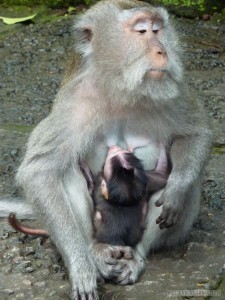 Extremely cute! 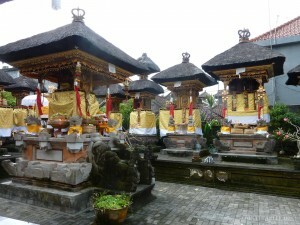 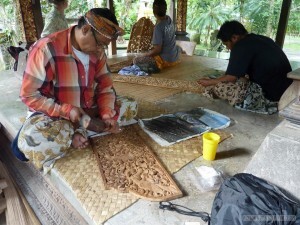 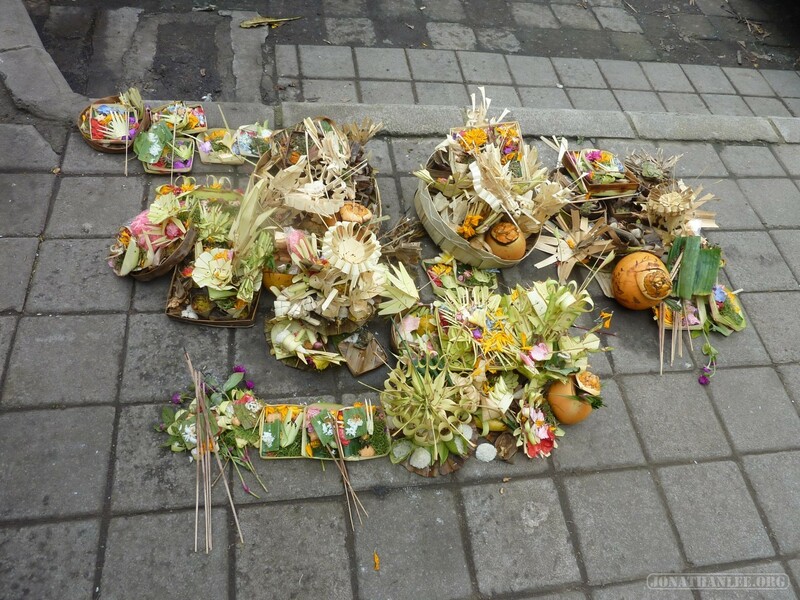 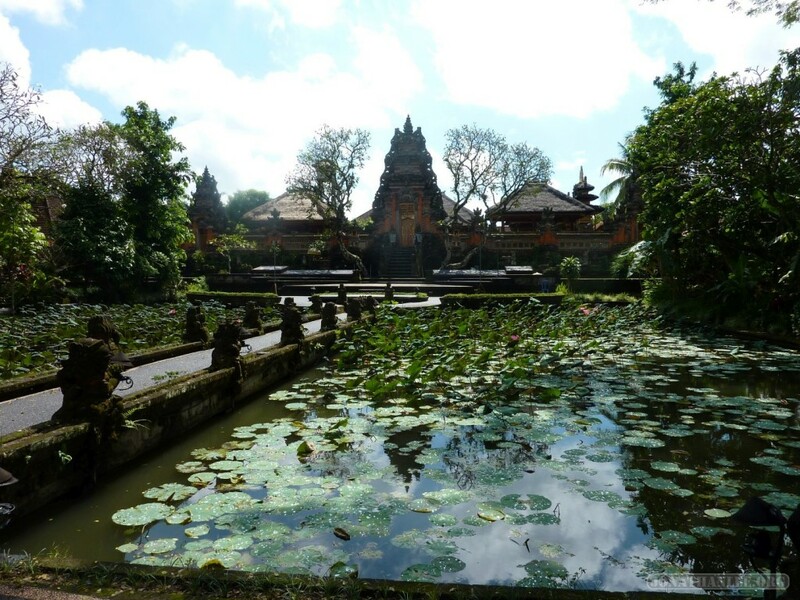 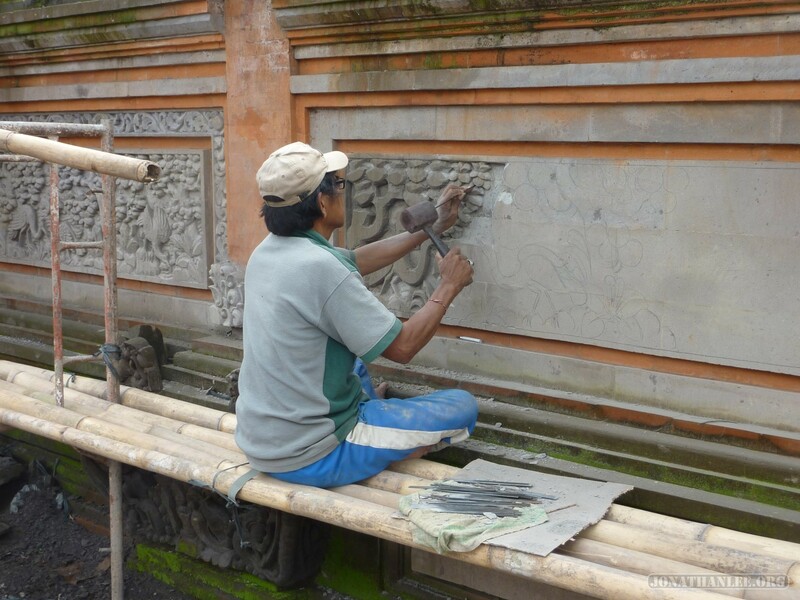 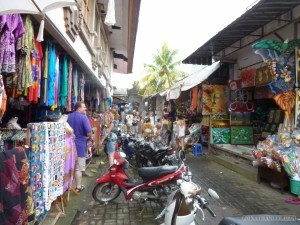 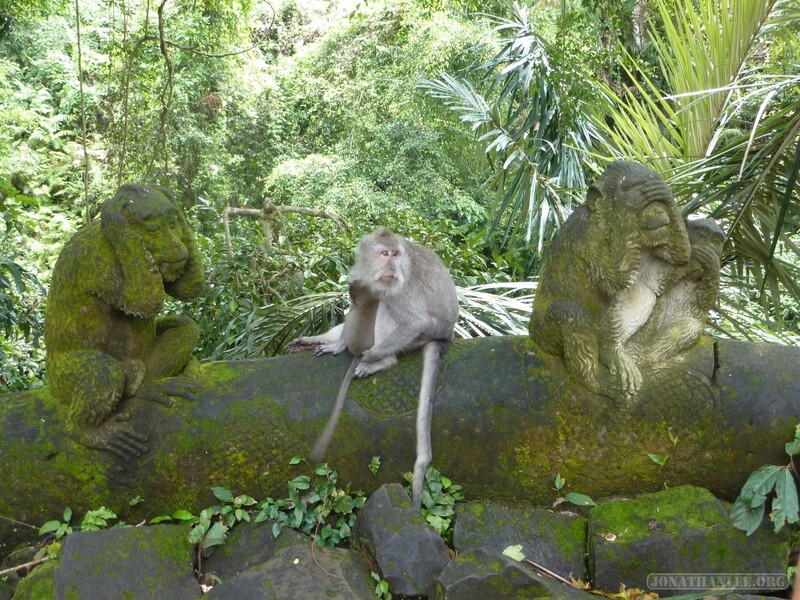 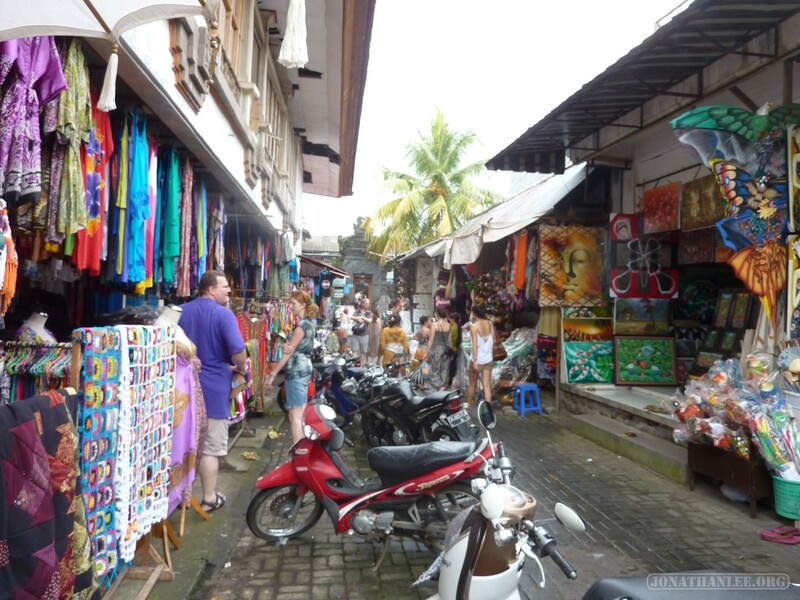 As the cultural capital of Bali, this city is home to several museums of Balinese art. 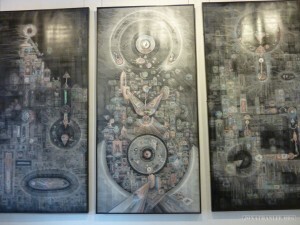 Some art on display was contemporary and modern, indistinguishable from I would find in the West. 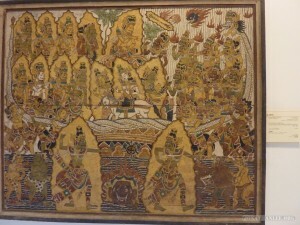 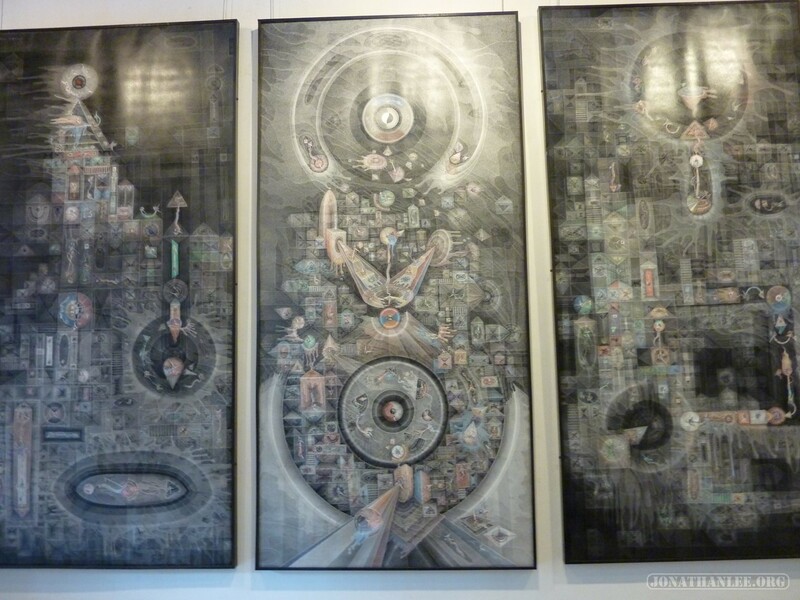 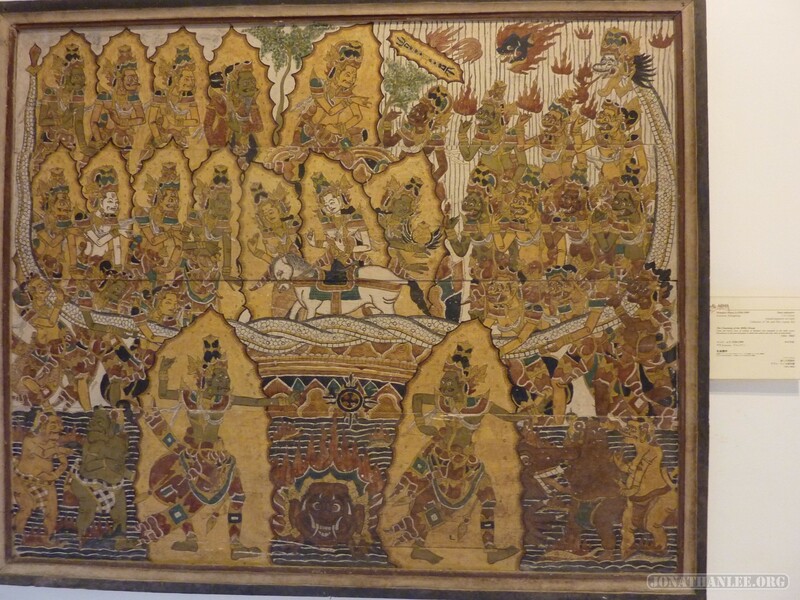 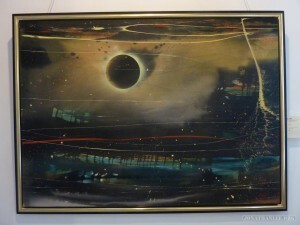 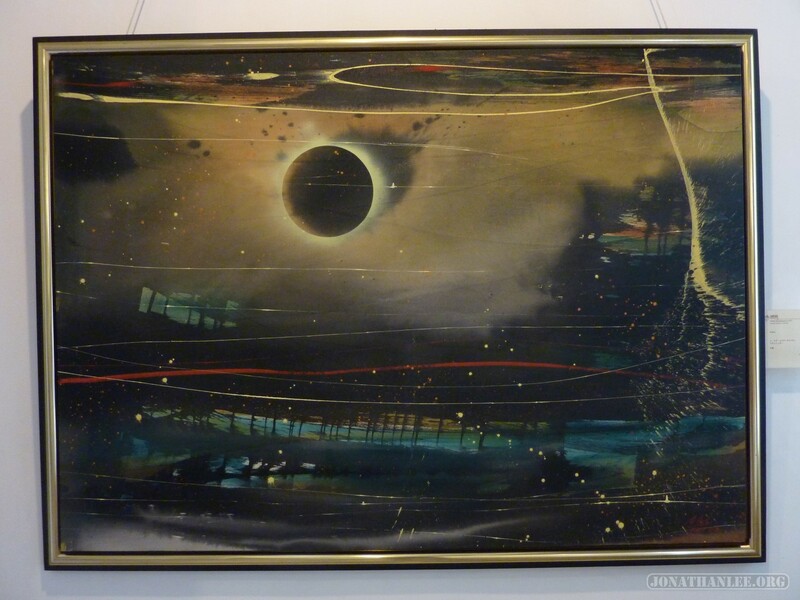 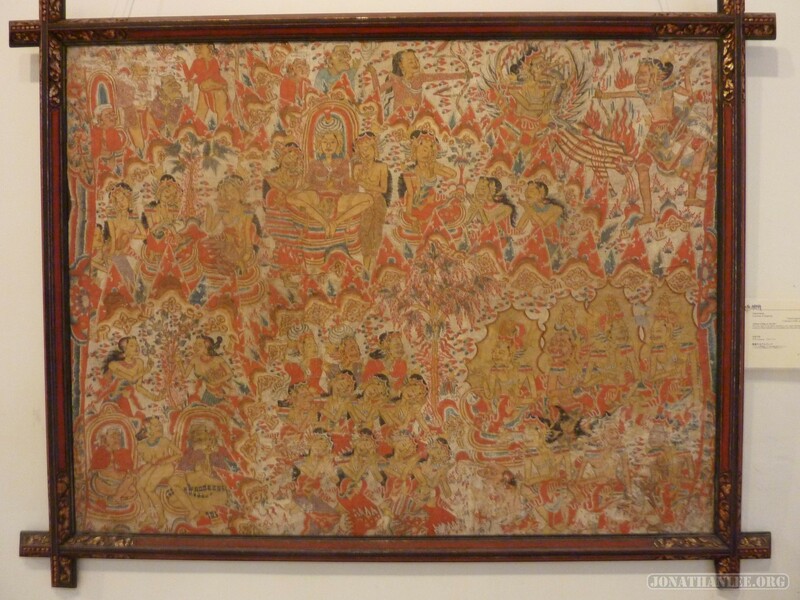 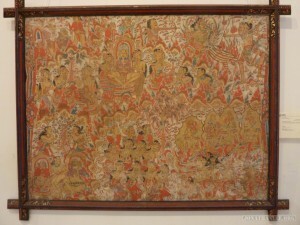 Other paintings were more traditional – I notice that traditional Balinese art is quite complicated and crowded, with as much artwork squeezed in as possible. 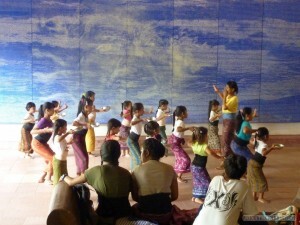 I also saw dance classes being taught at the museum! During home ceremonies (every 6 months), home alters are dressed up in skirts, and a priest comes to bless the home and shoo away demons. 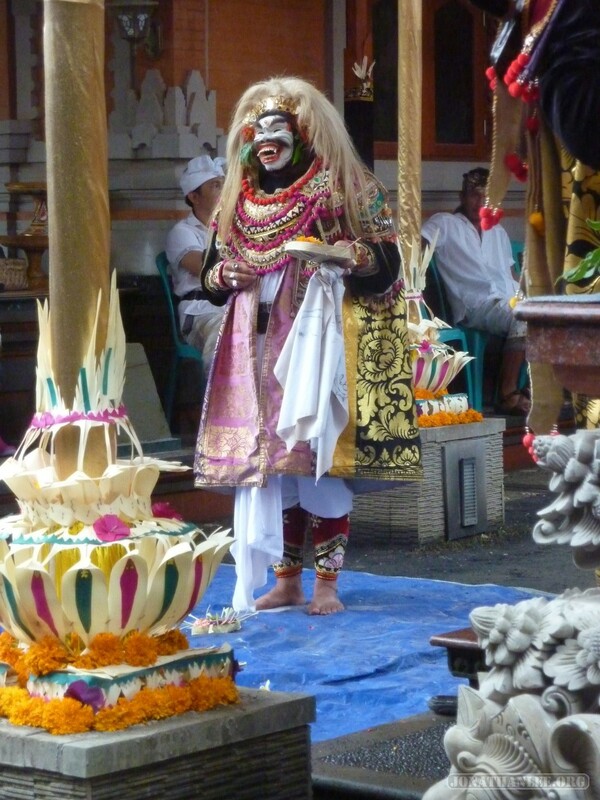 What really impressed me was that these ceremonies and dances weren’t meant for tourist eyes – we were welcome to observe if properly attired, but for the most part it was something that locals did for themselves. 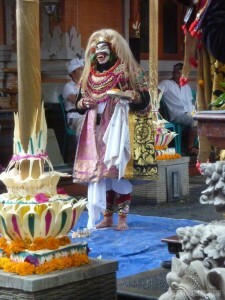 Something else I found fascinating is that in Balinese culture, there is a teeth filing ceremony – much like how in the West, people get braces to align their teeth, in Bali they get the tops of their teeth filed so that the tops of teeth are smooth and aligned. 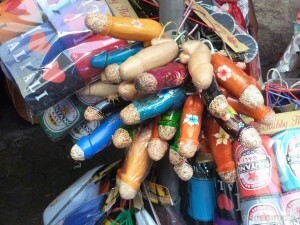 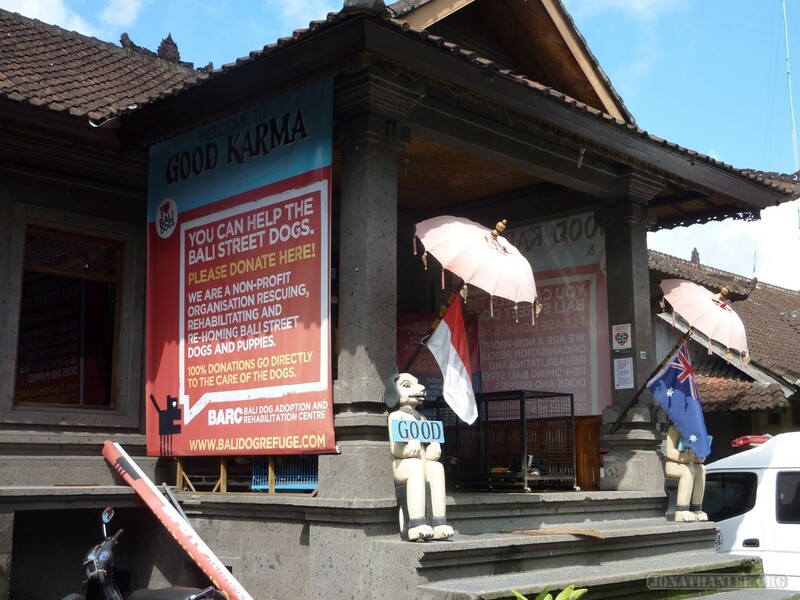 – “Good Karma”, a charity helping Balinese street dogs. 95% Scam. 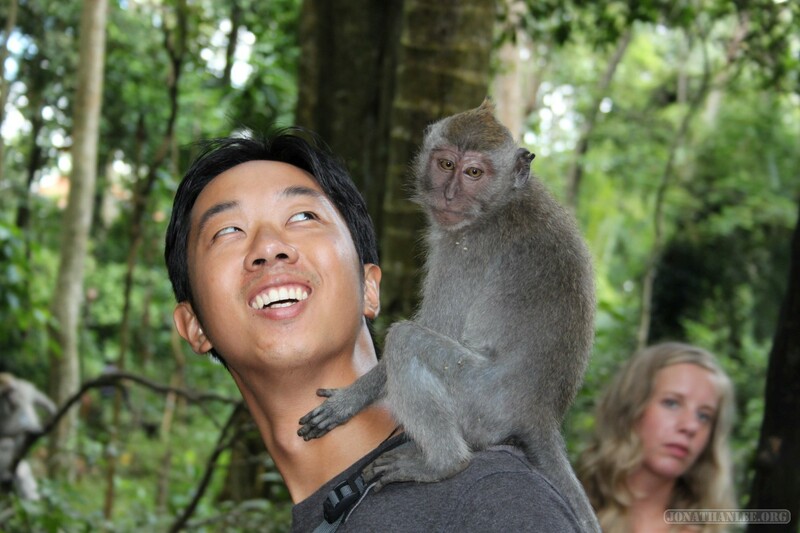 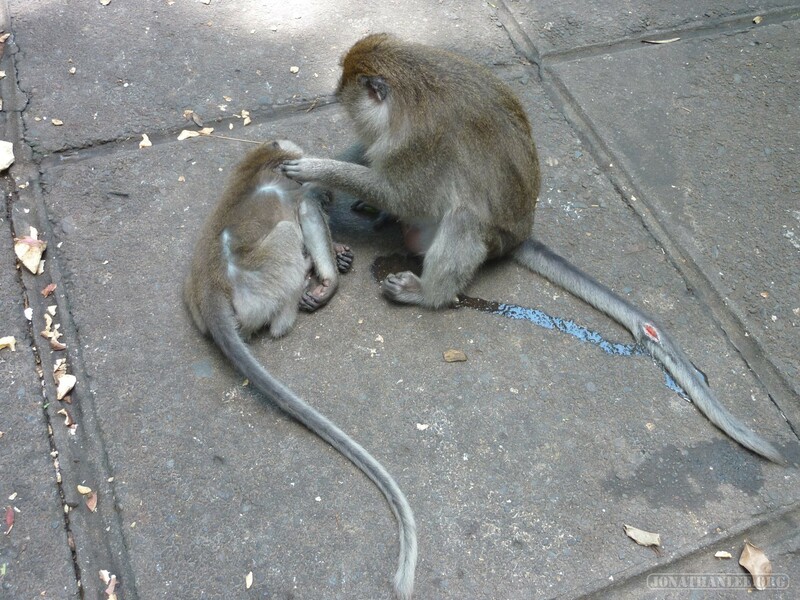 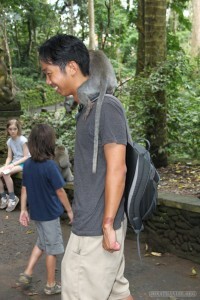 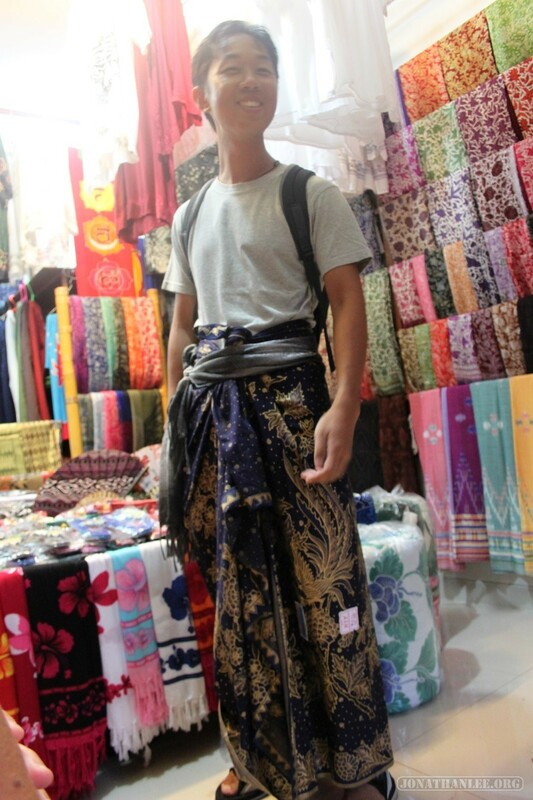 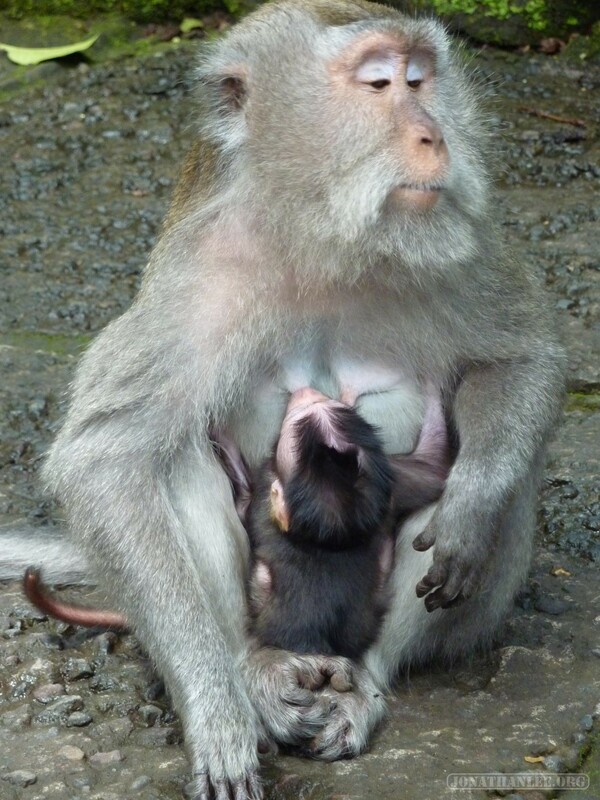 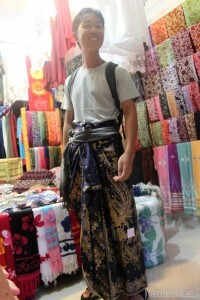 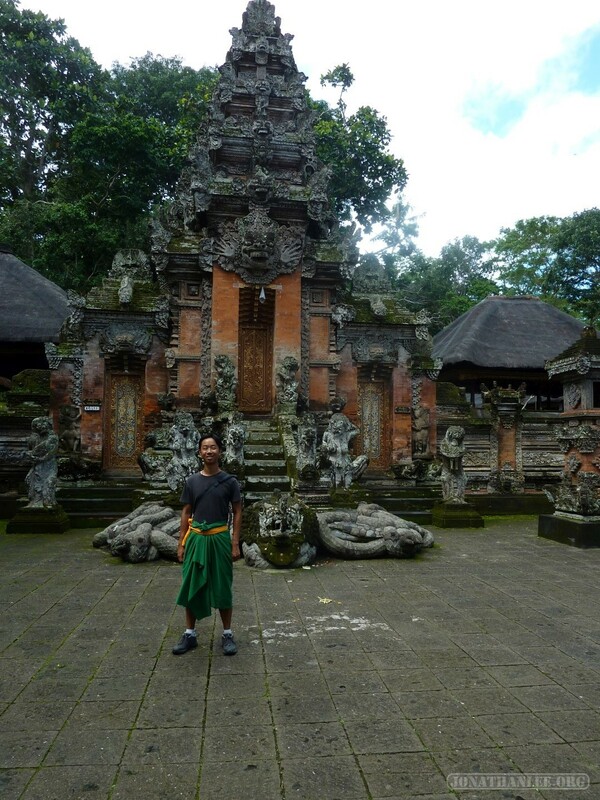 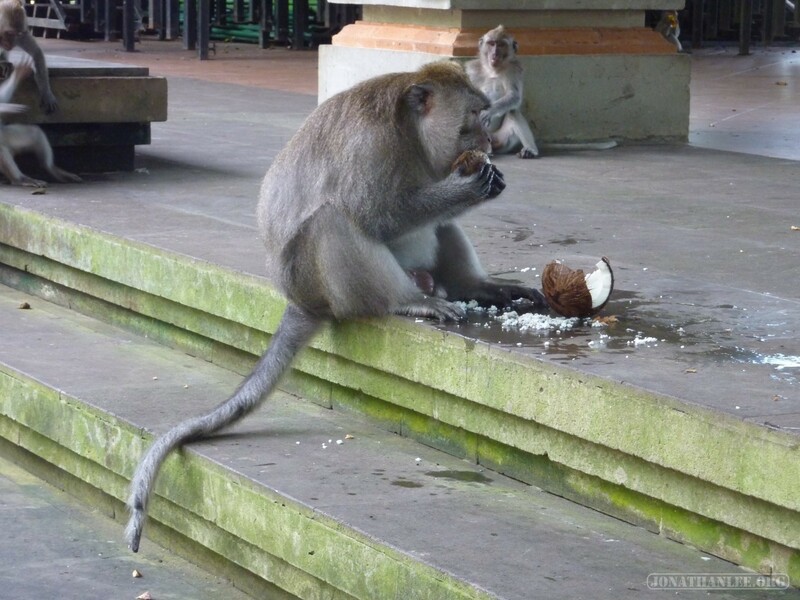 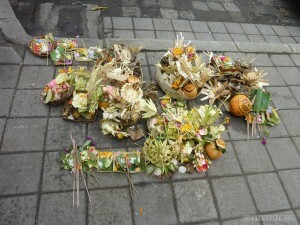 While staying in this city, I hired a car and driver, and started traveling around Bali!